Rosa Parks is a community of resilient individuals equipped with the knowledge and skills to create pathways to opportunities in life. Rosa Parks is a Superintendent Priority K-8 School where students learn to be successful in a healthy, safe environment. Rosa Parks also gives students a rigorous, project-based learning experience in a 21st century classroom. and classroom activities. 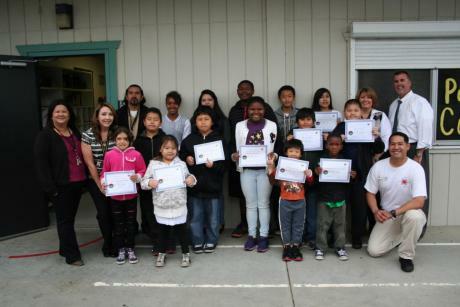 In addition, community partners will provide mentoring and extra-curricular activities for Rosa Parks’ students. Students needing intervention, including English Learners, will receive exemplary instruction to ensure academic and linguistic proficiency through support programs and additional instructional time. Come be a part of the New Rosa Parks. 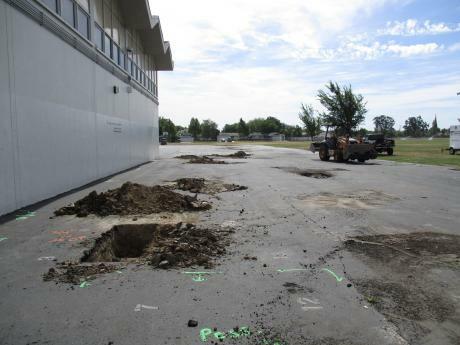 Students in 7th and 8th grade are not included in the GATE identification process in the Sacramento City Unified School District. Students who are identified as GATE in grades second through sixth will continue to be identified as GATE students throughout their middle and high school years. These classes include GATE identified students as well as students who have demonstrated high achievement or high potential. Superintendent Raymond launched the Priority Schools program in the spring of 2010 to accelerate the rate of student learning in low-performing, high-poverty schools. Six schools were initially selected for participation: Oak Ridge, Father Keith B. Kenny and Leataata Floyd (formerly Jedediah Smith) elementary schools; Fern Bacon and Will C. Wood middle schools; and Hiram Johnson High School. Rosa Parks Middle School was added to the program in June 2011. 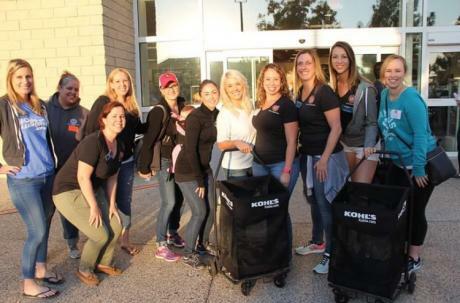 Members of the Active 20-30 Club of Greater Sacramento sponsored a shopping spree at Kohl’s on Arden Way for 100 Rosa Parks K-8 students on September 10. Chaperoned by a club member, each student shopped for clothing and shoes up to a limit of $130. Students also received backpacks, school supplies, breakfast and a free haircut from the Paul Mitchell School. 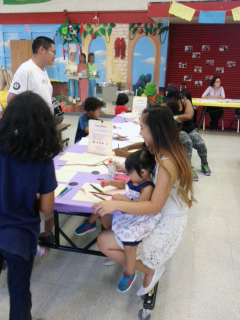 The Active 20-30 Club has sponsored a back-to-school shopping spree for students for more than 20 years. Rosa Parks K-8 School hosted a Social-Emotional Learning Showcase and Spring Band Concert last month. The evening celebrated the school’s social-emotional learning initiatives, including buddy classroom art work, performances by the Rosa Parks Beginning and Advanced Bands and a slide show highlighting the SEL Superstar celebrations held throughout the school year. SEL Superstar students were also recognized for their outstanding SEL skills with special buttons and a huge round of applause from the audience. Listen to the Students – Bring Back the Arts! Mary Hardin Young currently serves as an Instructional Assistant Superintendent with Sacramento City Unified School District (SCUSD).